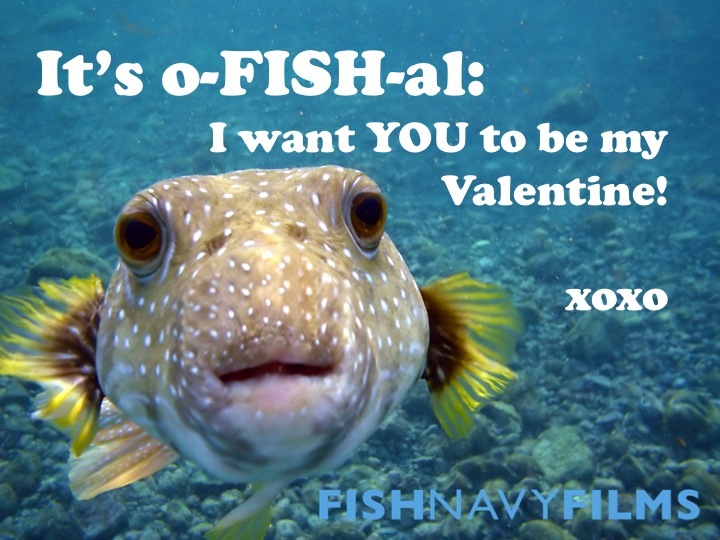 Who doesn’t love a fishy Valentine? 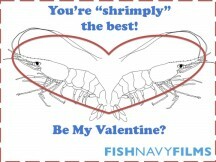 Happy Valentine’s Day from Fish Navy Films! 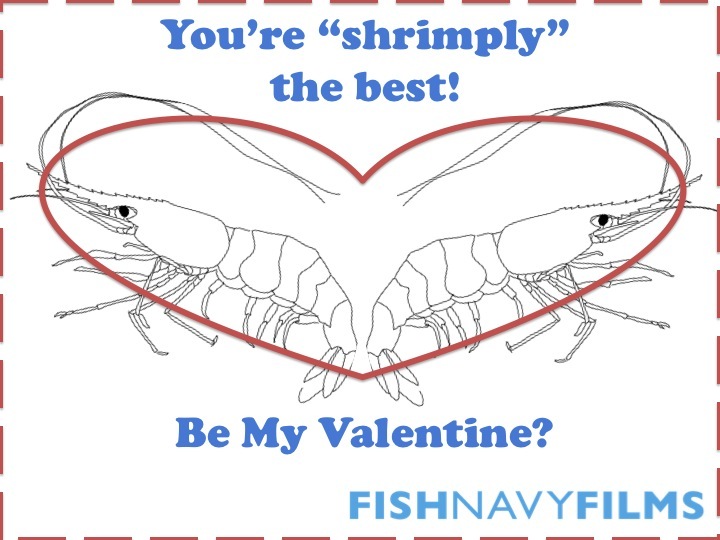 Enjoy these pun-tastic cards from us to you and please share with your ocean-loving friends! Last year we enjoyed sharing Valentine’s Day sea creatures like kissing fish, chocolate fish and a heart urchin. How will you be celebrating Valentine’s day this year? 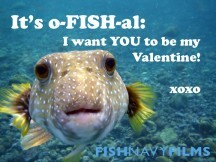 We have had a great time pinning fishy valentines on Pinterest too. Do you pin with us? We think nothing can be more romantic than to have a candlelit dinner with the one you love, especially if you are showing some love for our oceans by eating sustainable seafood! Why not check out some of the recipes we have featured in the past like Asian salmon cakes or some butterflied rainbow trout? Bored of buying flowers and chocolate for your sweetheart? 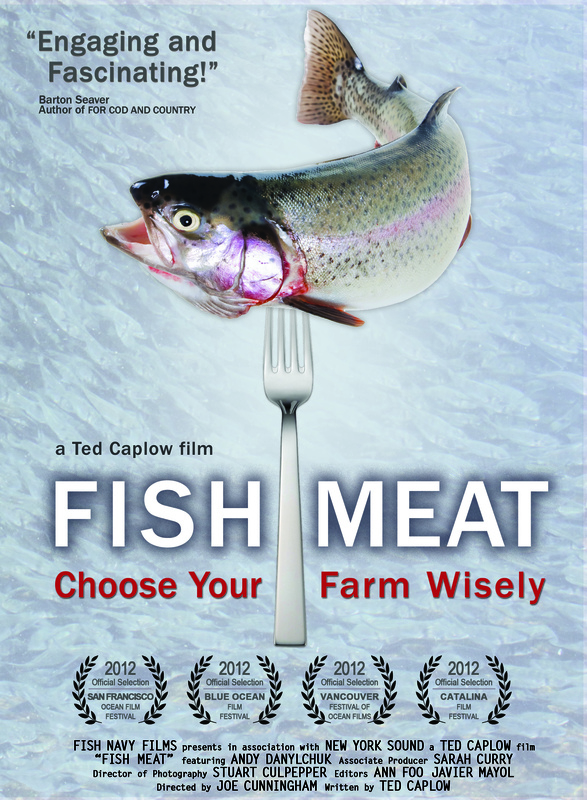 Why not pick up a copy of Fish Meat to show your sweetie that you love their brainy side? Or have a romantic night in and stream Fish Meat on iTunes? However you celebrate Valentine’s Day this year, we want to show our love for our fans for their continued support!